The future of decorative knots has arrived! 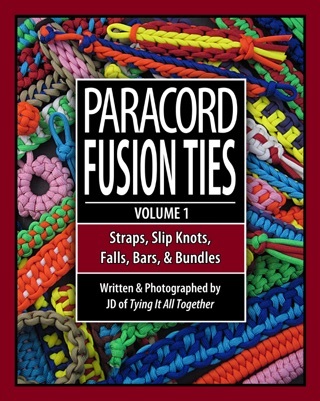 JD, the producer of over 100 instructional knot videos and the creator of the famed YouTube channel Tying It All Together,” reveals his innovative knotting style in Decorative Fusion Knots: A Step-by-Step, Illustrated Guide to Unique and Unusual Ornamental Knots. Respected internationally for his knotting skills and clear, concise video and book presentations, JD shows how to tie knots like no others. Just as origami figurines are created through the merging of different folding techniques, JD creates new knots by combining historical knot elements and new knotting techniques. The products of this intermingling are what he calls fusion knots  a brand new genre of knot in a centuries-old tradition. 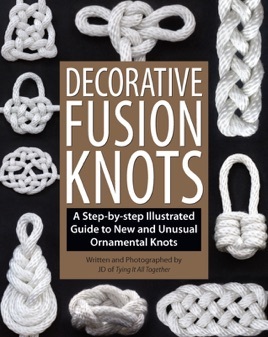 It is rare for a knot book to feature even one brand new, never-before-seen knot, but Decorative Fusion Knots features more than 25 brand new knots created by the author. Decorative Fusion Knots is the culmination of 10 years of study, practice and creation. The knots within were inspired by history, nature, mythology, and more. Many of these incredible knots have never been presented or described publicly, until now. Never before has a knot book presented a step-by-step format to tying brand new knots like this in full-color. 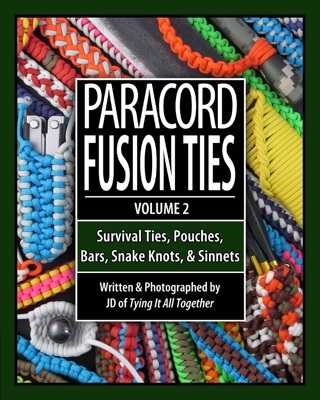 Alongside fusion knots, JD presents logical and comprehensive instructions for a plethora of historical knots, including Celtic knots, Chinese decorative knots, maritime knots, and popular paracord ties. Each historical knot instruction is presented in step-by-step fashion with full-color photographs. In fact, over 300 step-by-step color photographs are included in the book, each accompanied with clear, concise instructional captions. 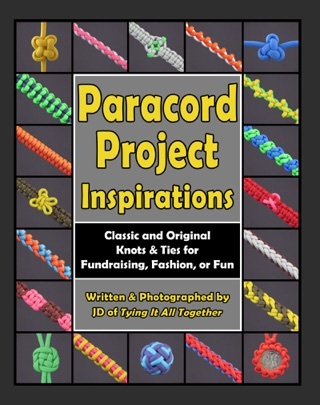 Whether you’re a sailor, teacher, jewelry maker, survivalist, general knot enthusiast, or just looking for bush crafts, paracord ties, a curriculum for students, or a fun way to pass the time, Decorative Fusion Knots is the book for you. With easy-to-understand captions and clear step-by-step photos, readers can learn at their own pace, review whole techniques at a single glance and simply lay the book flat on the table and follow along as they tie. Hand & mind juggling without using balls. 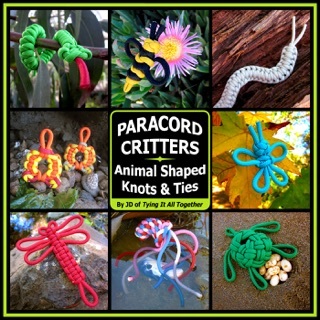 Decorative Fusion Knots is simply great exercise for the hands & mind! Well written & illustrated, it is perfect for the beginner and technically challenging for the veteran. As an old navy guy who loved working practical knotting applications, this tome takes tying to a whole new level. I have watched many of J. D.'s videos, now that I have the book I have a great quick reference guide wherever I go! Thanks for the clear pictures and detailed instructions! I thought I would be able to buy this book and go on some macrame tying frenzy only to discover that the knots she teaches are boring and uninspiring. The only section I found helpful were about 15 pages in length...... The book is almost 400 pages.... Disappointing.